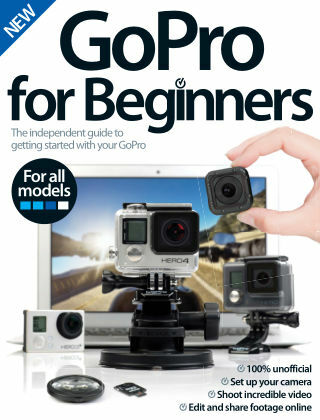 With Readly you can read GoPro For Beginners and thousands of other magazines on your tablet and smartphone. Get access to all with just one subscription. New releases and back issues – all included. Get involved and capture all your adventures with the help of GoPro for Beginners; choose your model and accessories, navigate the modes and settings, shoot your favourite subjects and perfect your final footage. There should be nothing stopping you from using GoPro to record all your activities. Featuring: Get started with GoPro - Select your model and choose the mounts and accessories that’ll suit your purpose. Setting up - Set up your GoPro before heading out to master the essential modes and functions. Using your GoPro - Get the know-how to help you film or photograph your sport or subject perfectly. Going further - Edit your footage and perfect your stills before sharing with others.